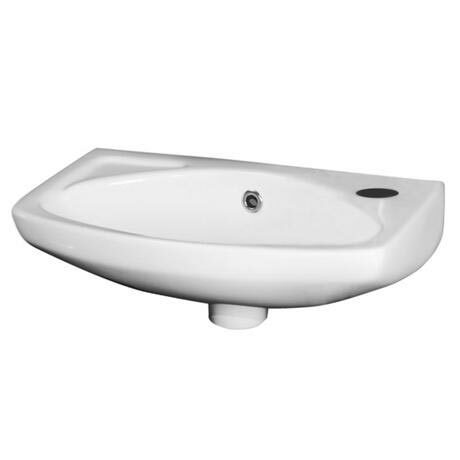 The wall hung 450mm cloakroom basin designed and manufactured by leading bathroom brand Premier. Ideal for bathrooms and cloakrooms with limited space. To be used with a Mono basin mixer (not Included). Very good for the price. The size was perfect for what we wanted. Well priced, nicely shaped hand basin. We were surprised and pleased to find wall fixings inside the pack.